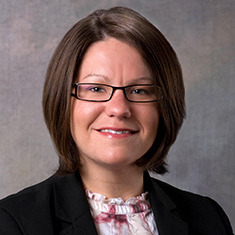 Amanda Christie focuses her practice on real estate finance, including originations and restructurings of loans, and acquisitions and dispositions of loans secured by real estate assets. She also has experience with traditional real estate matters, including acquisitions, dispositions and the leasing of real property. Amanda has represented financial institutions, institutional investors, private equity funds, real estate investment trusts, developers and other corporate entities, including nonprofit corporations. Her work has involved various asset classes, including office buildings, industrial facilities, retail facilities, resort and casino properties, single-family and multifamily developments and condominiums. While in law school, Amanda served as the articles editor of the Florida Law Review.